Bitcoin faucets are website that give away free bitcoin satoshi to visitors in exchange for traffic. Faucet owners gives visitors rewards by entering their wallet address, solving the captcha and clicking the claim button. 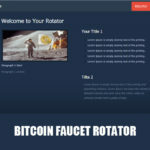 Here are a list of the top 10 bitcoin faucets online. There are a lot of bitcoin faucets that also gives free bitcoin satoshi. But some of them have coinminer software that is install itself in your browser when you access the faucet. js.coinminer is a malware that allows the faucet site owner earn from the infected computer by using their CPU as a source of mining. That’s why faucet cliamers should have a anti virus running in their computer before claiming bitcoin using faucets. In our top 10 bitcoin faucets list there are no js.miner malware and the bitcoin faucets are paying on time. Using these bitcoin faucets will give enable you to get free bitcoin. You don’t need to spend a single dime to get some bitcoins. All you need to do is claim as often as you can and get direct referrals. 1. Moonbitcoin is a bitcoin faucet that gives rewards to members by entering their coinpot email address or bitcoin wallet address and by solving the captcha. The bitcoin satoshi reward increment to a certain level. The longer a member get a reward the higher the reward to claim. Moonbitcoin also offers members to earn more by claiming everyday and staying active. 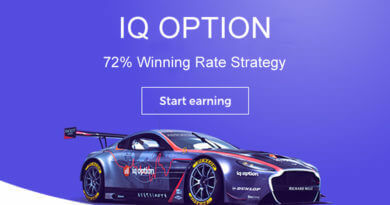 Members also will receive 25% referral earning to all the member that will sign up using their referral link. 2. 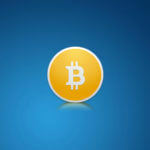 Freebitcoin Win is a multi cryptocurrency faucets that gives away different cryptocurrencies. You also need to register to be able to collect different altcoins from their different faucets. Withdrawal is manual, as soon as you have some amounts of coins you can withdraw. Payments are sent in the members faucethub account. Members can claim every 5 minutes. 3. Bagicoin is a multi faucet website the give away free cryptocurrencies. To claim free cryptocurrencies members only need to enter their wallet address and solve the captcha. Members can collect bitcoin, bitcoin cash, bitcore, ethereum, litecoin, dash, dogecoin, peercoin, primecoin, potcoin and blackcoin. Bagicoin also gives 5% referral earnings to members that invites and sign up using their referral links. 4. Worldofbitcoin is a bitcoin faucet that has 50,000 alexa ranking no doubt one of the best well known bitcoin faucets online. Visitors need to register using their bitcoin wallet address. The reward depends on the price of bitcoin and members can claim every 5 minutes. 5. Getyourbitcoin this faucet is the same as worldofbitcoin. The price depends on how much the value of bitcoin in the market. 6. Bitfun is a bitcoin faucet the increments the bitcoin satoshi price. Visitors need to register to claim. To earn more bitcoin members can play games to get extra rewards. 7. Tomygame is faucet game in which the price increments. Visitors need to register to claim. There are a lot of ways to earn free bitcoin satoshi in this site. Members can change players to earn more. Minimum payout is 100 satoshi. Tomy Game is on of the longest running bitcoin faucet around. Members can withdraw using their bitcoin wallet address (direct), coinbase and to their faucethub bitcoin wallet address. 8. Bonusbitcoin is a bitcoin faucet that rewards members every 15 minutes. Rewards depends on the luck of the member. The price range is 10 to 5,000 satoshi. But prices are subject to change depending on the price of bitcoin. 9. Freebitcoin is a bitcoin faucet that rewards members every 60 minutes. Rewards depends on the number the member’s claims. The higher the number the higher the amount of bitcoin satoshi is given. The price range is 10 to 5,000,000 satoshi every hour. But prices are subject to change depending on the price of bitcoin. 10. Eobot is a free and paid cloud mining website and also a bitcoin faucet. Visitors need to register to get free bitcoin satoshi. Faucet claims are every 1440 minutes or once per day. The best thing about this site is that you can use your reward and exchange it for mining power. So everyday you collect on their faucet, you can grow your mining power by exchanging the reward. Minimum payments for bitcoin is 200,000 satoshis. Members can also exchange the mined coins for mining power. There are a lot of coins to choose from. Bitcoin, litecoin, dash, ethereum, bitcoin cash, ripple, dogecoin, golem, curecoin xem, monero, steem, bytecoin, gridcoin, ethereum classic, factom, lisk and maidsafecoin.